I happen to have both an immersion hand blender and a Ninja kitchen system at home. Over the last year, the Ninja has suddenly come in extremely useful (after collecting dust on the kitchen shelves for a few years as a long forgotten birthday present from my husband). So far, I have made sunflower seed butter, pasta sauces, pesto, peanut butter and cashew nut butters, hummus, chickpea and black bean patties as well as flaxmeal muffins from the Ninja without problems. For split pea soups and making hummus and batches of baby food, I sometimes just use the hand immersion blender for easy and quick clean up. 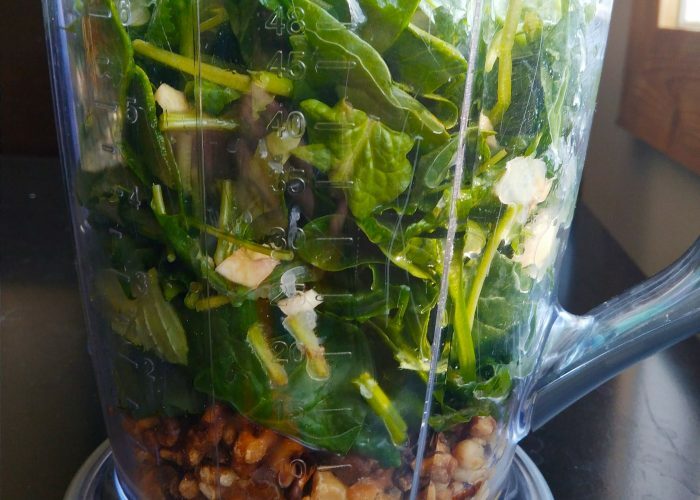 You may already possess a blender or a food processor at home, which is more than adequate for your needs if you are just starting out in the world of plant-based foods. Eventually, as you try out the myriad of delicious healthy plant-based recipes out there, you may decide to fork out a little more money to purchase another food processor or blender. If so, there are many models and options out there!